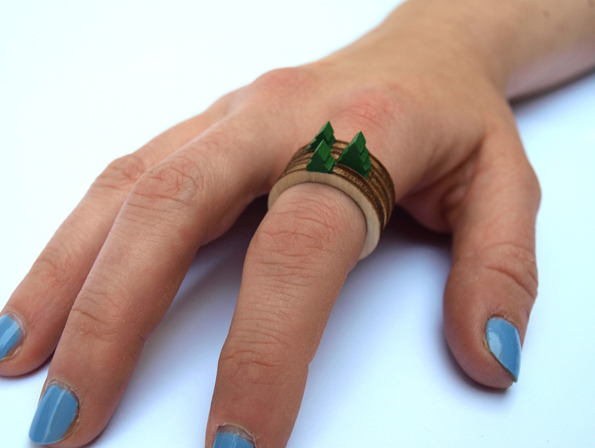 Make Mini-Landscapes On Your Fingers With These Wooden Rings | OhGizmo! By David Ponce on 04/06/15 • Leave a comment! So here’s a novel idea. 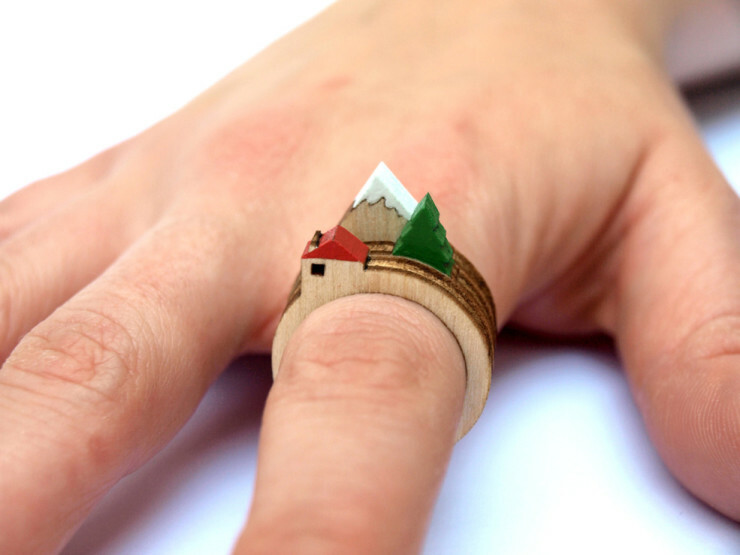 Etsy seller ‘CliveRoddy’ makes some cool laser-cut high quality birch plywood rings that come in one of three shapes: tree, mountain, or house. You can then combine and stack any of the three to make cool little landscapes on your fingers. Each one of these rings comes in three versions, so in the end you’re left with quite a few possible combinations. It’s quirky and fun… and that’s really all there is to it. 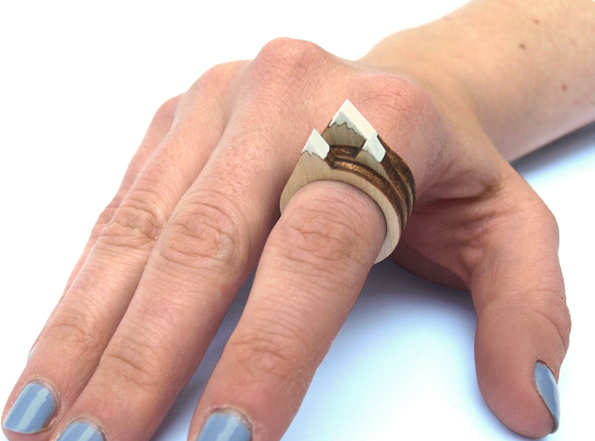 It would be better if these rings weren’t made from wood, and feature more things than the three available, but the idea is really neat. It’s $24 for a set of 3 rings, but that’s only of one kind. If you want to combine all three shapes, you’ll have to spend $72.